Merrick Festival Caroling Competition of 2018! This image was taken during the Caroling Competition last year. The advanced choir won 3rd place! 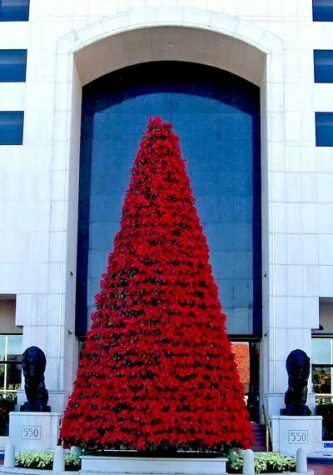 This is the famous red Christmas, located on the venue! 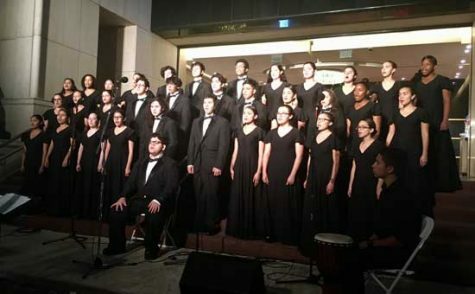 Choir director Ms. Cid and the Miami High Singers choir will participate in the annual Merrick Festival Caroling Competition located at 550 Biltmore Way, Coral Gables on November 29, 2018 at 8p.m. 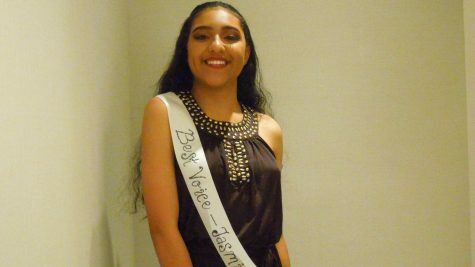 They will perform the Nigerian carol Betelehemu, the national anthem of Israel Hatikvah, Christmas carol Lully, Lulla, Lullay, and Latin Christian hymn Gloria. On Tuesday, December 4th at 7 p.m., they will host a 2018 Awards Show, announcing the choir that will win over $20,000 in cash. Entrance is free. For more information, report to room 4208 or check the website http://carolingcompetition.org/.